Heather Brutz of NCCETC introduces the panelists of Driving on Solar Miles: Integrating Residential Solar and Electric Vehicle Charging at the 2018 State Energy Conference of North Carolina. Photo by Nicole Deck. Industry experts discussed options available today for integrating residential solar with electric vehicle charging at the 2018 State Energy Conference of North Carolina last month. Panelists addressed some of the most commonly used technologies as well as the future of residential solar, electric vehicle charging and the grid. 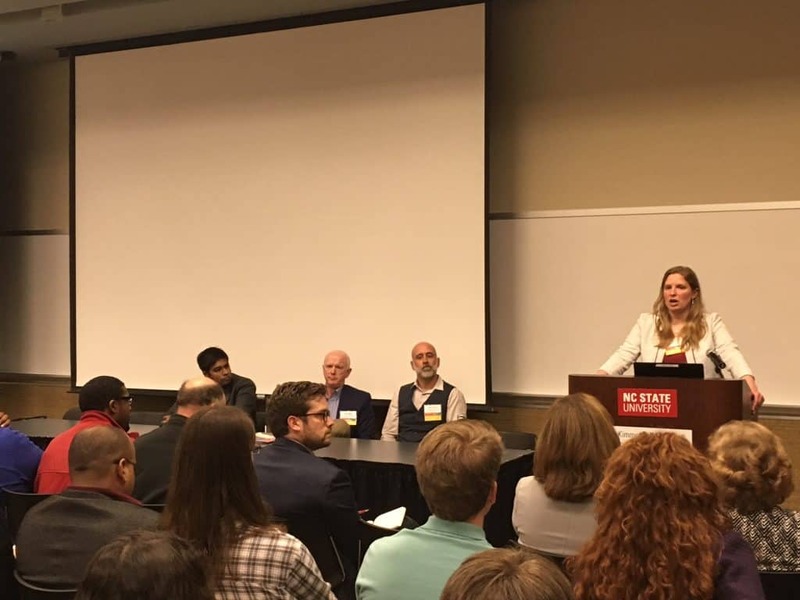 The three panelists were Bharat Balagopal, a doctoral student at North Carolina State University; Stew Miller, President of Yes Solar Solutions; and Stan Cross, CEO of Brightfield Transportation Solutions. Heather Brutz, Transportation Finance and Operations Manager at NCCETC, was moderator. • GHG reduced from gasoline to grid power = 44M lbs. • GHG reduced when Solar Driven = 84M lbs. Stew Miller (Yes Solar Solutions) said that the average gas-powered vehicle emits the equivalent of 11,435 lbs. of CO2 annually. 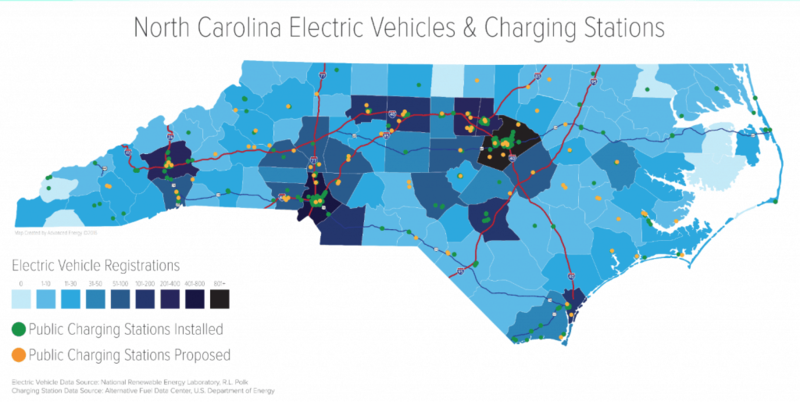 And on average, using the NC electric grid to charge an EV releases 4,185 lbs. of CO2 each year. 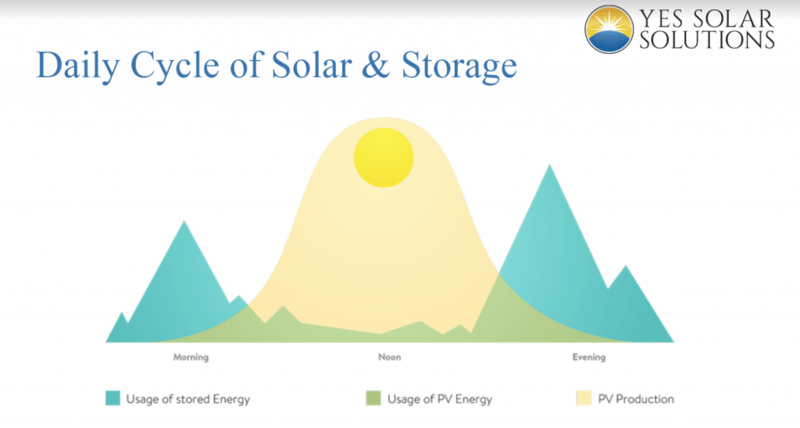 Daily Cycle of Solar & Storage graphic by Yes Solar Solutions. Miller said that by using solar and storage like Tesla Powerwall to generate and store the electricity needed to power their vehicles, EV drivers can reduce their transportation-related emissions to zero. Powering EVs with a home solar system is typically cheaper than charging your car with electricity from the grid as well, Miller said. Bharat Balagopal discussed electric vehicle charging and integration with the smart grid. 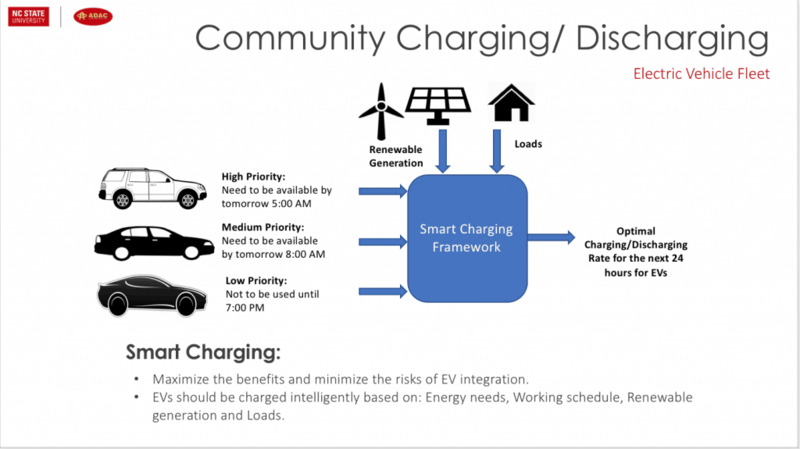 To alleviate those risks, Balagopal said, researchers at Advanced Diagnosis, Automation, and Control Lab (ADAC) devised a method for smart charging of EVs to maximize benefits and minimize the risks of EV integration. Their technology, he said, can intelligently schedule the charging of the EVs based on energy needs, working schedule, renewable energy generation and load pattern. 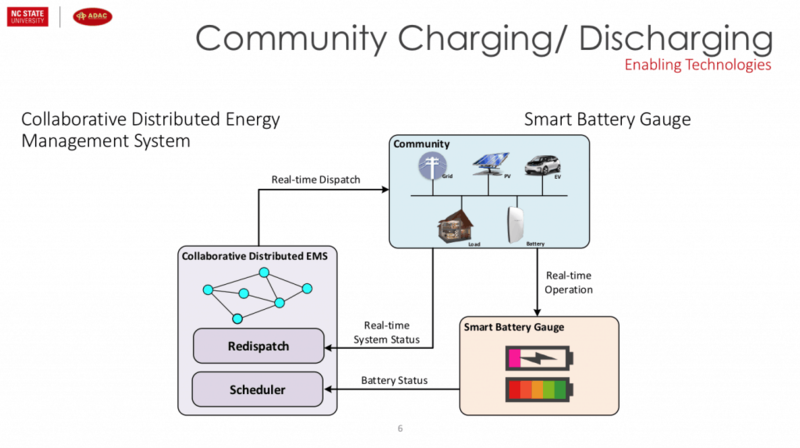 There are two main enabling technologies that allow them to intelligently control the charging of the EVs — the Collaborative Distributed Energy Management System and the Smart Battery Gauge. To learn more, click here.